A track loader is your go-to machine for all your digging, loading, pushing and carrying requirements. Whether you’re in the mining, aggregate and landscaping industry or the construction, forestry, waste and demolition sectors, the track loader is ideal for rough terrain environments and can maneuver in tight spaces. As your authorized Cat® dealer in Michigan and Indiana, MacAllister Machinery provides an extensive inventory of Cat track loader parts. We support you before, during and after the purchasing process to help you find the best parts solutions for your company. 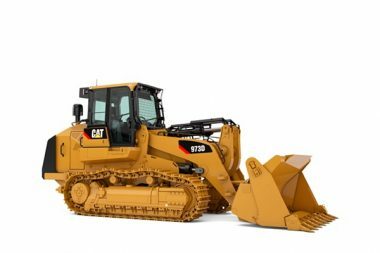 For any track loader model or year, MacAllister Machinery gives you instant access to genuine Cat OEM parts as well as attachments to keep your engines operating at peak performance. The components offer a significant upgrade compared to aftermarket products, providing reliability and quality. OEM parts meet strict Caterpillar® standards for consistent and long-lasting efficiency. OEM parts are superior parts that give you peace of mind that your track loader will respond when you need — even during your most strenuous jobs. When buying new isn’t a viable investment, buying used parts is the perfect alternative. It can diminish equipment costs without sacrificing quality and value. Our used parts specialists will help you find the right components for your track loader with our large used parts inventory and even help you find rare pieces. Working with exchange and remanufactured parts is another cost-effective solution because we refurbish them to like-new conditions. Put through extensive testing and restored using a rigorous remanufacturing process, the reman track loader parts meet strict Caterpillar standards. You can also invest in our exchange program where you swap old parts for reman ones that perform and last long-term. 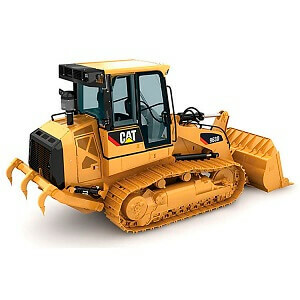 We sell them at a fraction of the price and source them from genuine Cat equipment. MacAllister experts rebuild them to original specification and test each component to ensure quality and performance for immediate installation. If you can’t make it to your parts store or need immediate solutions, you can visit Parts.Cat.Com to order track loader parts. With more than 1.4 million new, used and exchange and reman parts available in our system, we guarantee top-quality and dependable components. You can also check availability and prices for extra convenience. Why Rely on MacAllister Machinery? 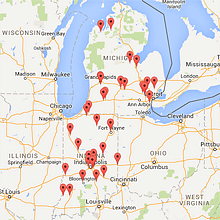 With more than 70 years of experience serving local areas in Indiana and Michigan, MacAllister Machinery is one of the largest Cat dealers in the U.S. We stock a massive inventory of parts, giving you quick access to genuine Cat pieces. Our knowledgeable staff will help you determine the most profitable solutions for your business. Relying on us means you have quick admission to Caterpillar’s distribution centers, easy online ordering, delivery and pickup options and several drop box locations. Visits Parts.Cat.Com to order your parts online, visit a MacAllister location or contact a representative for more details.